1 hr 10 min Approx. Derek Bell, of the Chieftains, captures the hunting, mystical quality of traditional celtic music on thsi solo album of roiginal melodies by Donald walters. Derek has played harp for 23 years with The Chieftains, ireland's best-known interpreters of traditional Celitic music. 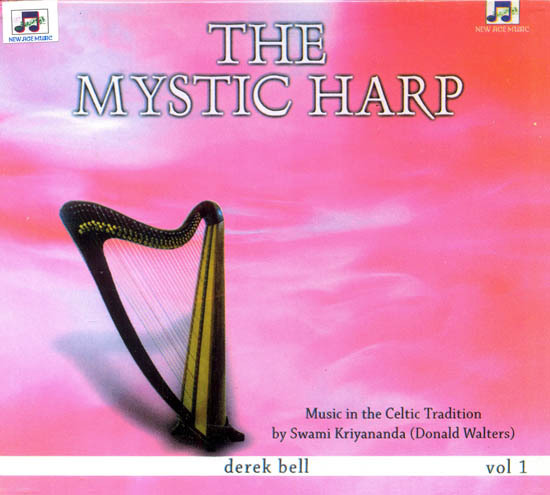 Derek Bell is the harpist for THE CHIEFTAINS, Ireland's best-known interpreters of traditional Celtic music. Classically trained, Bell joined the group in 1972, after a distinguished career as a harpist with the NORTHERN IRELAND BBC ORCHESTRA, and as a professor of harp and Irish harps at the BELFAST ACADEMY OF MUSIC. For thirty-one years, THE CHIEFTAINS have seen the most influential of the Irish folk musicians, credited with doing more to spread the appreciation of traditional Irish music than any other group in Ireland's history. Bell, a resident of Northern Ireland, has several solo albums to his credit. He has composed three piano sonatas and Symphony in E-flat for orchestra, and is the recipient of the MANNS PRIZE from the ROYAL COLLEGE OF MUSIC. Donald Walters is the composer of more than 300 pieces of music. He has shown a rare ability to capture the feelings evoked by different countries, and by different epochs of history. From an intuitive level, he has "discovered," in a sense, beautiful music that somehow captures the inner spirit of a place: for lands as diverse as modern Israel, ancient Egypt, Italy's Amalfi Coast, India, Rumania, Assisi at the time of St. Francis, ancient Greece, Japan, ancient Persia, and Mexico. In THE MYSTIC HARP, he has revealed Ire-land's proud heart and her timeless beauty.